Lester Savit is a partner at One LLP and a leading intellectual property attorney with more than three decades of experience working with technology companies to protect and develop inventions, patents, trade secrets, trademarks, and good will. 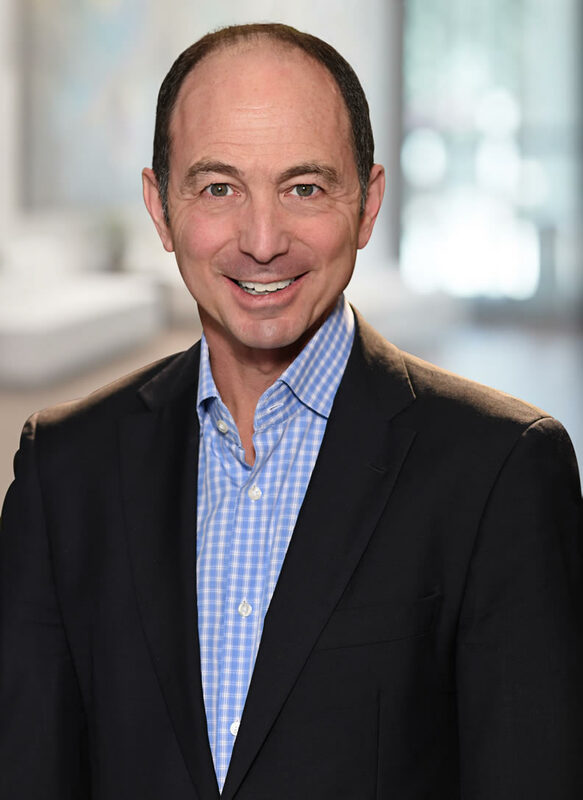 His clients include leading biotech and pharma companies (Abbott Laboratories, Affymetrix, Celgene, Johnson & Johnson, Merz Pharma) and companies in the medical device, polymer, specialty chemical, semiconductor, electronics, and other industries. He was the founding partner of the Intellectual Property Practice of Jones Day in Irvine, California. Whenever possible, Lester works with clients to resolve challenges and commercial disputes effectively without litigation. He is an experienced negotiator in addition to being a seasoned arbitrator and mediator. He works with the American Arbitration Association in commerical disputes and serves on the National Panel of Patent Arbitrators. Lester also aggressively represents clients in federal court litigation. He led a series of 10 patent infringement actions brought on behalf of a major biotech company against generic drug manufacturers with such success that these cases were favorably settled. Lester also advised a European company prior to its entry into the U.S. market, led a long-term patent enforcement program for another client, and obtained judgments totaling more than $90 million for three others. Savit is the only attorney in the country to have obtained a default judgment against a patent infringer as a sanction for discovery abuses. As a business-minded expert in biotechnology law, he serves as an adjunct professor at Pepperdine University School of Law, where he teaches “Law & Biotechnology.” Lester also is a member of the Dean’s Advisory Board at the University of California, Irvine Paul Merage School of Business. The Board serves as the Merage School’s primary advisory body responsible for providing perspective and counsel for academic and professional programs and includes top management from companies throughout Southern California. Savit also serves as chair of the Merage School Corporate Partners Program Executive Steering Committee. Lester served as a board member of the Federal Bar Association, Orange County Chapter for several years, a member of the Phoenix Society of the University of Chicago and is often invited to speak on intellectual property and litigation topics such as the patentability of human genetic sequences, electronic discovery, arbitration/mediation and intellectual property crimes. April 4, 2012 – Lester Savit spoke to over thirty members of the Oregon State Bar, Intellectual Property Law Section, at the Ace Hotel in Portland about Patent Monetization. February 17, 2012 – One LLP partner Lester J. Savit addressed 35 faculty members, post-docs, and graduate students at the University of California, Irvine’s Sue and Bill Gross Stem Cell Research Center. Mr. Savit’s hour-long lecture was entitled, “Stem Cell Research: Federal Funding and Intellectual Property Issues.” The event was part of a course designed for the stem cell research community as well as scientists and students throughout the campus with an interest in this nascent technology. Invitations were distributed to various departments including MBA students at The Paul Merage School of Business and JD degree candidates at UCI’s Law School. Mr. Savit serves on the Merage School’s Dean’s Advisory Board and as chair of the Executive Committee of its Corporate Partner Program. In addition, he is an adjunct law professor at Pepperdine University School of Law in Malibu, California, where he has taught “Law and Biotechnology” since 2004. January 17, 2012 – Lester Savit was a guest on The Docket with Evan Simon, a radio program that explores legal topics. Successful Biosimilars Patent Litigation Strategy is Foreshadowed in Momenta Pharmaceuticals, Inc. v. Amphastar Pharmaceuticals, Inc.